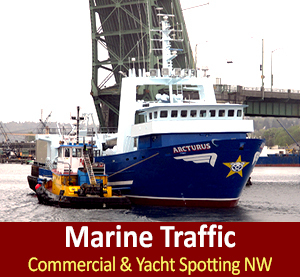 Dungeness Crab Season, 2018 Washington Waters, Crab Fishing Finally Underway, Fishermen’s Terminal, Loading Crab Pots, Commercial Photography By: Salty Dog Boating News, Salty Dog Maritime Marketing, The Marine Traffic Underway Commercial Fishing Source, with the Pacific Northwest Pulse! Commercial Dungeness crab fishery in Washington finally opened in coastal waters mid January 2018, after a six-week delay, according to Washington Department of Fish and Wildlife, WDFW. 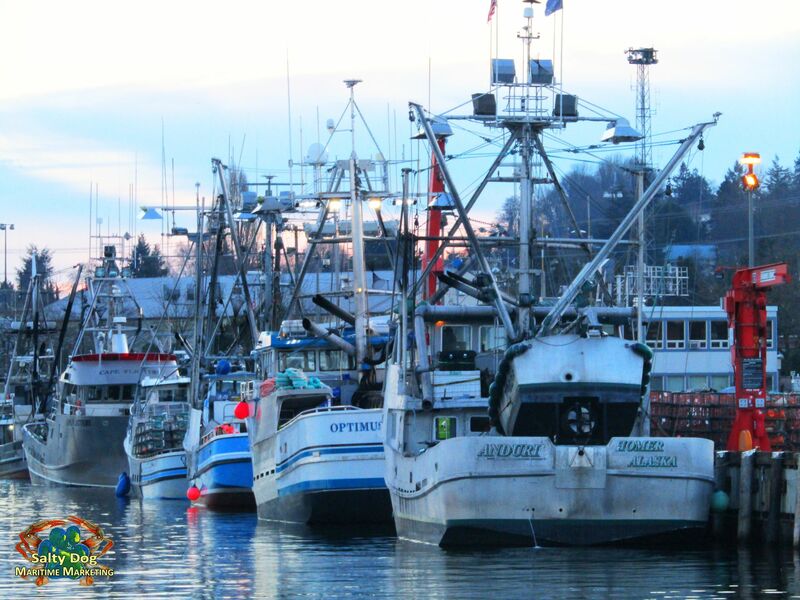 After weeks of fishermen on stand-by, WDFW fishery managers approved the opening in coordination with fishery managers from Oregon and California. 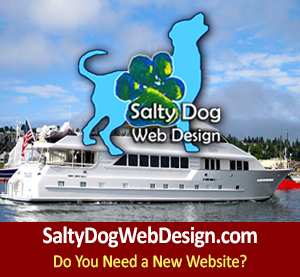 WDFW delayed the fishery opening, prior that was scheduled for Dec. 1, with a purpose to allow more time for crabs to fill with meat and to coordinate coastal openings with Oregon and California. Fishery managers estimate crab will have adequate meat in their shells by Jan. 15 to proceed with the opening on the west coast of Pacific Northwest. 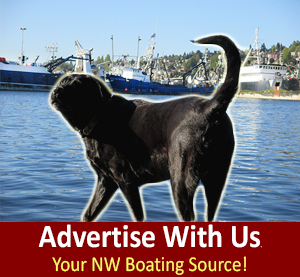 Dan Ayres, coastal shellfish manager for WDFW, has stated that the latest test results indicate Washington coastal crabs are safe to eat, remaining well below the public health action level for demonic acid, a natural toxin produced by certain types of marine algae. 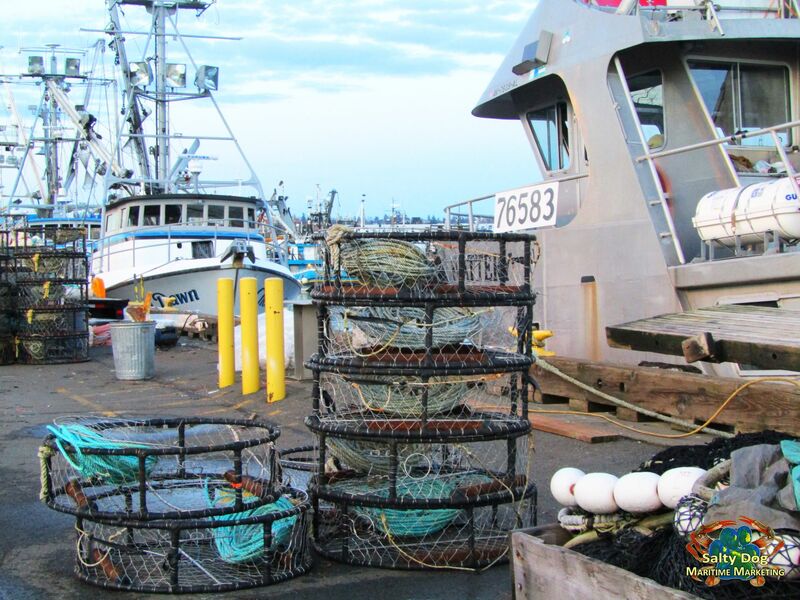 In Washington non-tribal commercial crab fishery was valued at $52 million during the 2016 – 2017 crab season. 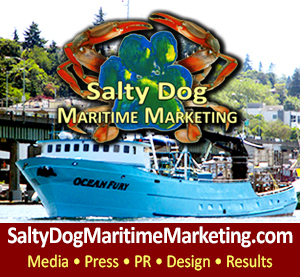 Commercial Photography By: Salty Dog Boating News, Salty Dog Maritime Marketing, The Marine Traffic Underway Commercial Fishing Source, with the Pacific Northwest Pulse! 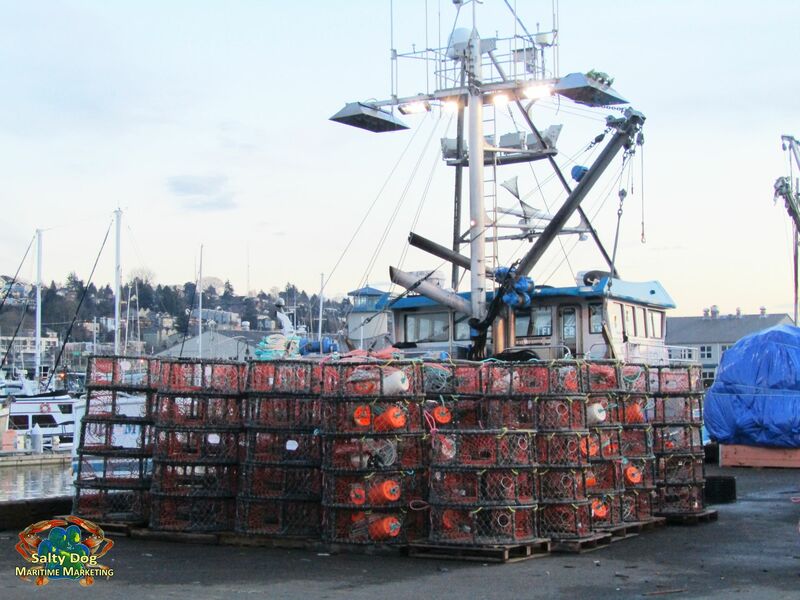 Dungeness crab prices have risen due to a short supply from closures in California, Washington, and Oregon. 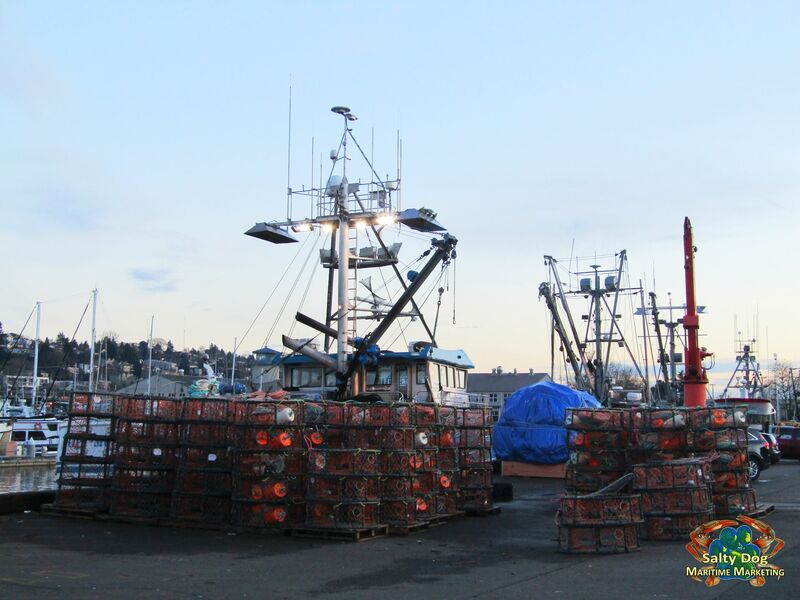 Testing on December 14, 2017 – showed that Washington Dungeness crab meat recovery levels were at 21.8 percent, while Oregon’s crab meat levels were at 22 percent. The minimum is 23 percent. However, shellfish managers from all three states have to agree on whether to not to extend the closure past mid January, fishing is finally underway, crab pots are on deck and most boats have left their home port to get back to work at sea this winter. AK Seine Fishing Boats, Go WA Crab Fishing, Jan. Winter, Westport WA Crab Season, Fishermen’s Terminal Loading Pots PNW, Commercial Photography By: Salty Dog Boating News, Salty Dog Maritime Marketing, The Marine Traffic Underway Commercial Fishing Source, God Bless our Fishermen & Their Families on Land & Sea! 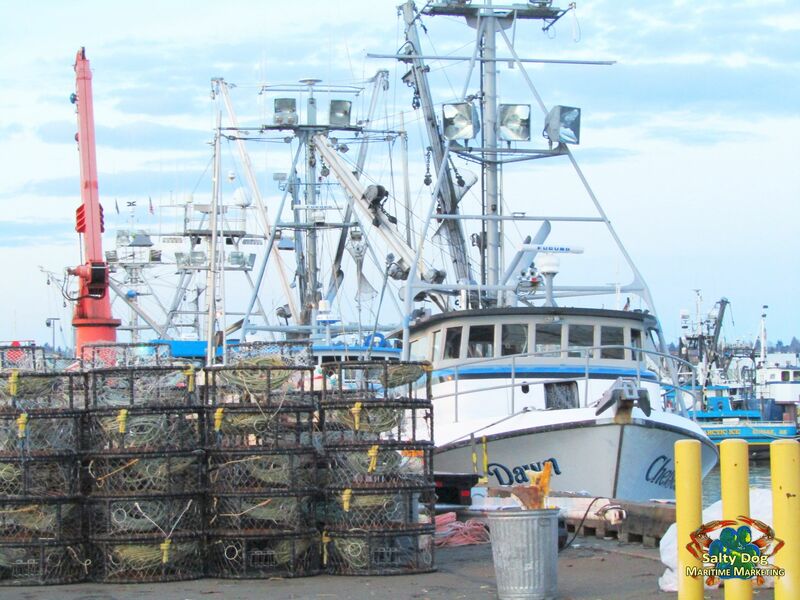 God Bless our Fishermen & Their Families on Land & Sea!